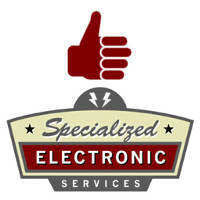 Specialized Electronic Services are experts in SIEMENS Drive sales and repair. We can sell, service, and repair the entire SIEMENS product line. We have extensive design and start-up experience with all SIEMENS products. Several of our customers in the plastic extrusion business use Siemens DC drives and have come to rely on us to maintain the units for them in their facilities. We also offer training to help your people understand and program Siemens units. Below is a partial list of the SIEMENS units we have worked with. We are constantly working with the SIEMENS Factory to ensure our technicians and programmers are well versed in the newest SIEMENS products. Be sure to contact us for any application, sales or service questions you may have. We have SIEMENS AC drive and PLC sales often so call us to compare pricing if you feel you have been paying too much. Call us now! 1-800-681-7374. At Specialized Electronic Services, we are here to help you with all your needs of siemens vfd repair, siemens ac drive repair, siemens service, siemens vfd, siemens vfd drives, service siemens, siemens variable speed drives, siemens variable frequency drive, siemens repairs, siemens ac drives, siemens drive repair.